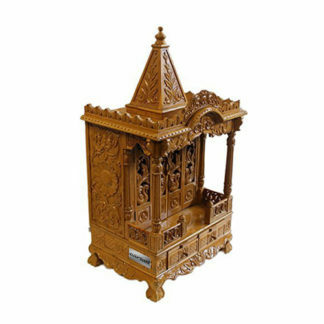 Aarsun Woods brings to you handcrafted Wooden temple made in premium quality Sheesham Wood. 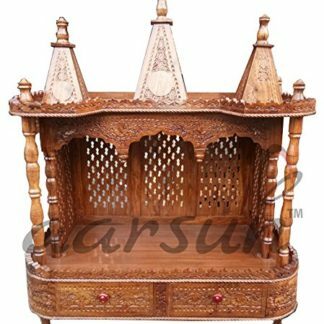 The Home Temple consists of beautiful floral carving at the surface with ample space for Idol placement and a pull out drawer to keep pooja essentials at one place. The design is traditionally handcrafted by skilled artisans from Saharanpur, a place famous for its Handcrafted wood work and Mughal Architecture. We excel in customization and the Temple can be made exactly as per your need. Foe details please contact us at +91-8192999135 / 8266888634 (WhatsApp Available on both).